Dana Nessel accepting the Democratic endorsement for attorney general. 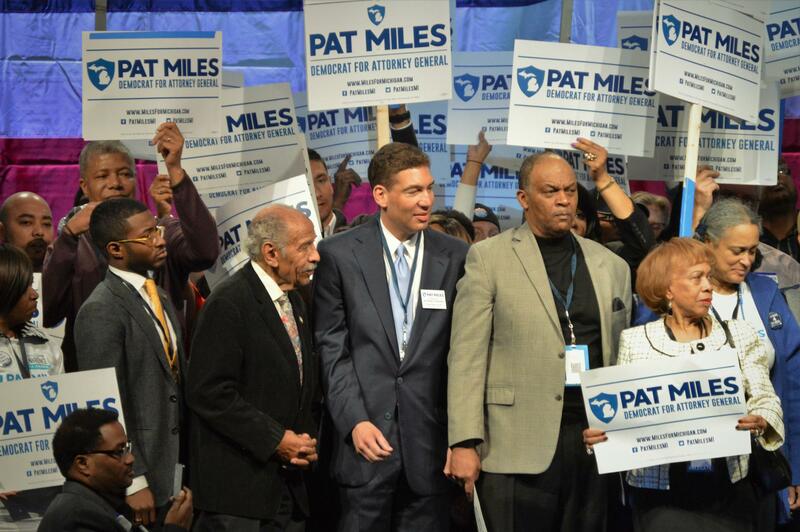 Pat Miles (center) at the Michigan Democratic Party Endorsement Convention. Pat Miles was the Democratic Party leadership’s choice to be the nominee for attorney general. He had the backing of the big unions. “I am proud to have the support of labor. I’m proud to have the endorsement of the UAW, of the IBEW. Thank you, IBEW. Thank you so much,” Miles said to the applause of the convention. 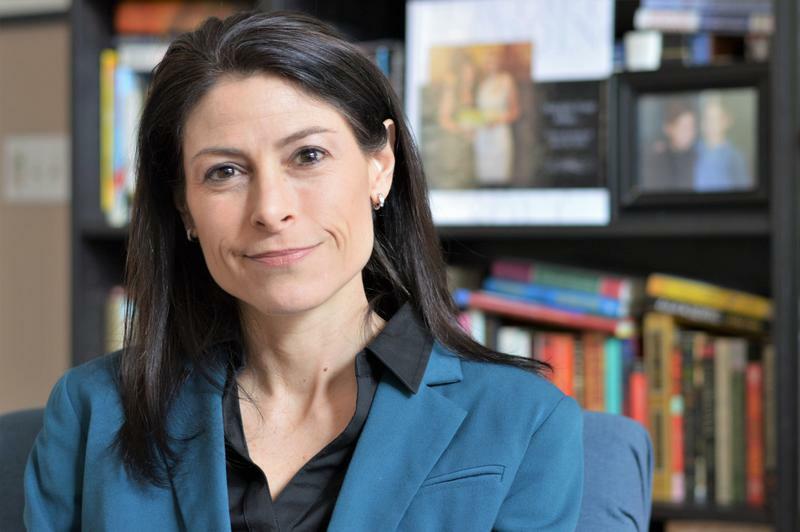 His chief opponent in the race was Dana Nessel. She did get the backing of the teachers’ union, the MEA, but she was counting on the support of the progressives in the party. “And let’s get on the floor and let’s win this thing," she shouted during a caucus meeting of the progressive Democrats. The room started chanting "Dana! Dana!" 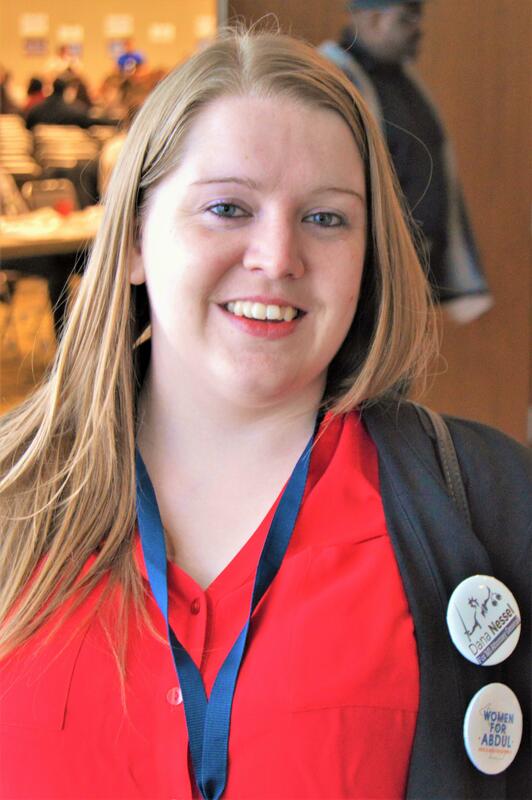 Kelly Collison is the chair of the Michigan Democratic Party's Progressive Caucus. There have always been factions in the Democratic party – as there are in most political parties. But there’s a shift happening as younger people, the millennials, push for change in the party, and labor unions are somewhat resistant. Kelly Collison is the chair of the party’s Progressive Caucus. “It’s mostly to do with the leadership in the UAW that we’ve butted heads with as the new progressives that have come in mostly from the Bernie wave and then the Trump presidency got a lot of people activated as well. But, I think that we’re getting to a point where we’re starting to see more alliances between people all across the board,” she said. But party activists say the young progressives want a larger role in the party now. In online discussions, some union members have expressed frustration with young people demanding change in the party. They say those young activists don’t understand how the system works. Dennis Williams is the president of the United Auto Workers. When asked whether the conflict was more about the unions holding onto party leadership, he disagreed with that premise. Dennis Williams is the President of the United Auto Workers. “It’s not about power to me. The UAW knows that we have some influence. Right? But, it’s the overall picture that matters, you know. Are they active? Are they going to stay active? Are they going to be at least engaged in the process to the point that some good comes out of it? I have no problem with it. I think it’s great,” he said. A union stronghold in the state is in the Flint area. 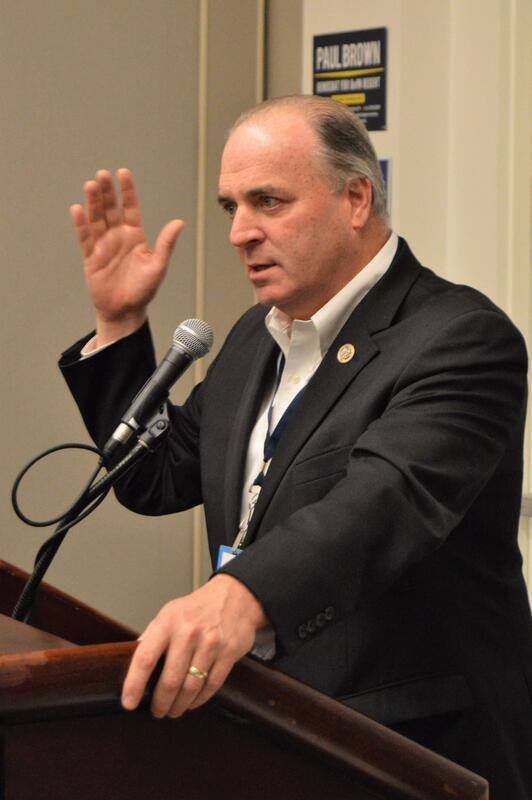 The Congressman there, Dan Kildee says Democrats need to acknowledge change is coming. “It’s not easy. There’ll be some hurt feelings. There may be some anger depending on how this turns out. But, I think there’s so much at stake that people will come together, this party will come together,” he said. And, Kildee says the young progressives are making it clear, they’re in the party to stay. Dan Kildee is the Congressman in the Flint area, a labor union stronghold in Michigan. “They’re not quitting. This is not just a fleeting moment for them. There’s a level of engagement that I think is going to last for a long time. That’s a good thing for us,” Kildee said. One point the progressives made is that they’re pro-union. The union members say they’re also progressive. The two sides agree on much. It comes down to a struggle for influence in the party. At the end of the convention, the vote for attorney general showed the progressive wing of the party has some clout. “I want to thank first all my supporters, all the unions that backed me, but I want to congratulate Dana Nessel on her victory,” Pat Miles said, calling for a unanimous endorsement of his opponent. The winner of the Democratic endorsement for attorney general, Nessel, played down the labor and progressive divide. She says beyond that, she thinks the issues important to her are not even Democrat versus Republican. “Consumer protection, or protecting seniors, or protecting workers, or making certain that people have fresh water to drink and air to breathe, I don’t know why any of that has to be partisan," Nessel told reporters. The next question is who the young progressives decide to back in the race for governor. The Democratic candidates know they can no longer dismiss them, but at the same time they cannot ignore labor either. In ancient times, say, four years ago, Patrick Miles would have had no trouble winning the Democratic Party nomination for attorney general. After all, the former federal prosecutor had the endorsement of the UAW, and that’s all it used to take. 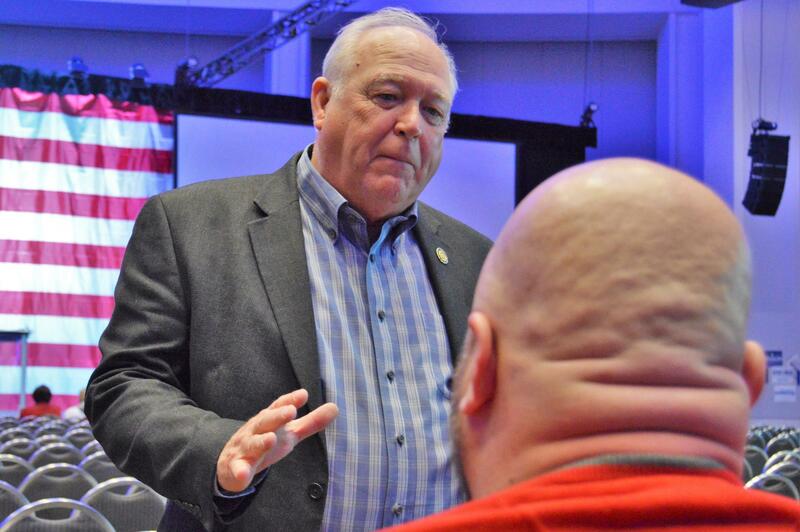 “The UAW doesn’t lose,” longtime expert observer Bill Ballenger said. Not until now, anyway. The party’s old bulls were behind Miles.